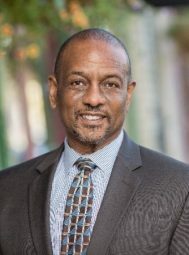 Dr. Andrew has been recognized by the Association of California School Administrators (ACSA) as the Region 8 Superintendent of the Year (2014), the State and Region 15 Central Office Administrator of the Year (2009), and the Region 12 Pupil Services Administrator of the Year award 2005). He holds a master’s in education from Cal-Poly, Pomona, an administrative credential from Cal State San Bernardino and a doctorate in education from the University of La Verne. He currently works as an Associate Partner for Leadership Associates Search Firm in Campbell, California. Compton Senior High School class of 1973.